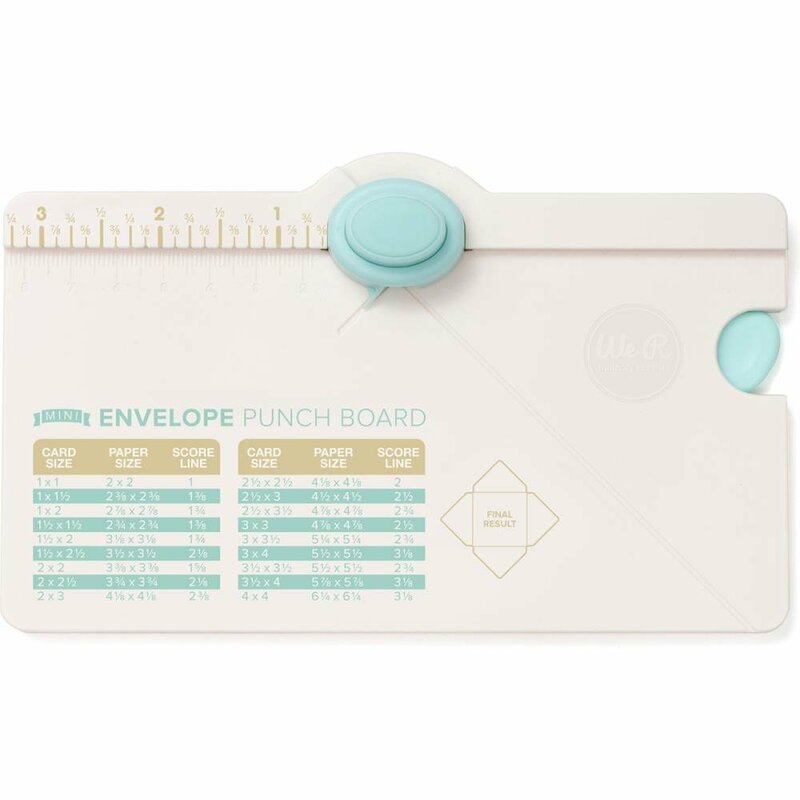 Create designer mini envelopes in sizes from 2" x 3-1/2" to 3" x 5-1/2" with We R Memory Keepers Mini Envelope Punch Board. . The punch board measures 6.75" x 4" x .25".